An Arsenal of Guns, PvP Maps and Co-Op Story Mission “Earth Shaker” Available As The Game Shoots Into Its Free Release. 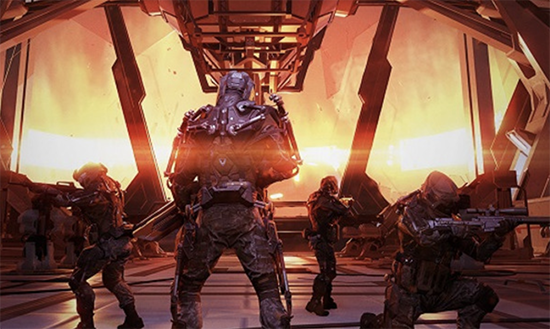 Warface is a fast-paced shooter crammed with cooperative and competitive action, stacks of game modes and a wealth of weapons for players to get their hands on. Gamers can choose to play as Riflemen, Medics, Snipers or Engineers as they work together and attempt to uproot the Blackwood military faction in Co-op play, or choose their side and lock horns with fellow players in versus battles. In the Special Operation “Earth Shaker”, the Warface squad will investigate suspicious seismic activity in the African sector H26. The only facility for miles around the sector is a Blackwood engineering complex, which is located at the foot of an active volcano. The helicopter will transport the players to the main entrance, but they are advised to not take the facility by storm: intelligence sources report that Ursula Ellis, the head of the corporation, came in to visit the complex a few days ago. That means the zone is well guarded and crawling with Blackwood soldiers! Xbox players must work together to devise the perfect strategy to go after Ellis and make it out alive. Special Operation Mission - Cyber Horde: Blackwood scientists have been working on cybernetic implants in a top-secret lab despite the obvious threat of such experiments. Now their twisted creations have broken free and are causing havoc. As a result, an entire region in Eastern Europe is flooded with these failed tests victims. Hordes of cybernetic zombies are roaming free as their numbers grow. The Warface squad is tasked with delivering a vehicle housing an EMP generator, to stop the production of these monstrosities. Bag and Tag PvP: Each player is in it for himself as they take the action to an enormous map with only one objective: survive. In this Xbox exclusive mode, players must eliminate and claim as many kills as they can by collect tags from enemy bodies. Get them first or else players will have to hunt down the scavengers that profited from their kills! PvP Maps Farm, Motel, and Outskirts: Three new maps await Xbox One members which includes Farm, Motel and Outskirts. Each map offers quite a bit of diversity in gameplay. From the wide-open fields of the Farm, which players will have to contend with multiple open arenas ideal of snipers, to the confined hallways and rooms of Motel, which resembles an abandoned Nevada motel, and there’s plenty of playing field for each class. Even Outskirts provides its own challenges with a map based on an industrial outskirt with the perfect amount of trash for Engineers to hide deadly mines in while Snipers have ample opportunities to line up their prefect shots from atop the multitudes of cargo containers above!